Clinical Kinesiology and Anatomy and KinesiologyinAction.com work together to create an immersive, multimedia experience that tracks your progress until you.ve mastered the must-know concepts and techniques and are ready to apply them in class, clinic, and practice. You.ll develop the foundational knowledge, critical-thinking skills, and technical competencies you need to understand kinesiology. Ten online learning modules with a wealth of activities guide you step by step through the basic theory of joint structure and muscle action to ensure you understand both normal and pathologic movement. A special code in the front of the book unlocks Kinesiology in Action for you, including an ebook of the text. 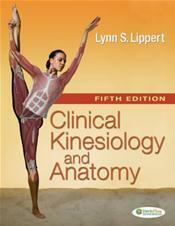 The 6th Edition of this classic kinesiology text continues the tradition of presenting a very complicated topic in a clear, simple, and easy-to-understand manner. 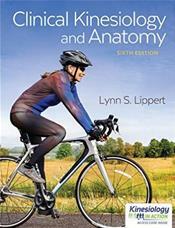 Bite-size sections and over 500 full-color illustrations show how various anatomical systems are connected and help you identify and see the connections between common pathologies associated with certain anatomical structures.